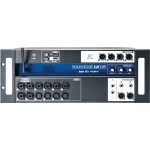 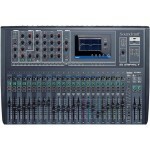 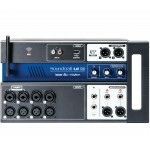 Space-saving Digital Mixer with Multitrack Recording Achieve flexible I/O, great sound qualit..
Great-sounding, Flexible Digital Live Board The Soundcraft Si Compact 32 console has robust digit.. 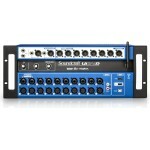 The Si Compact 24 feature 24 recallable mic pre amps plus 4 stereo returns, AES in and 64 input opti.. 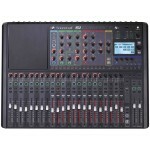 The Si Compact 16 feature 16 recallable mic pre amps plus 4 stereo returns, AES in and 64 input opti..
Control Your Sound and Lights From One Console! 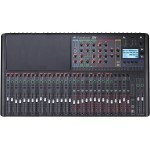 What if you could control your sound and lights f..
Built-in automated lighting controller Overview Drawing on the combined heritage of legendary ..
Overview Drawing on the combined heritage of legendary Soundcraft quality and the powerful and in.. 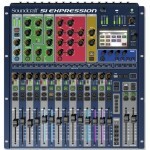 The Soundcraft Si Expression 3 32-channel Digital Mixer leverages cutting-edge DSP, component techno..
Soundcraft Si Expression 2 - 24-Channel The Soundcraft Si Expression 2 24-channel Digital Mixer l..
A Powerful and Affordable Digital Mixer The Soundcraft Si Expression 1 16-channel digital mixer l..
16-input remote-controlled digital mixer. 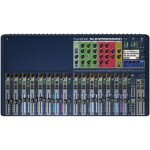 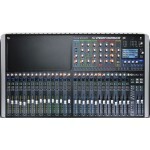 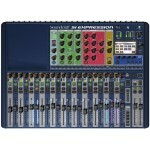 The Ui16 is part of Soundcraft's Ui Series mixers..
OVERVIEW 12-input remote-controlled digital mixer. 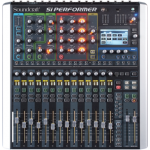 The Ui12 is part of Soundcraft's Ui Ser..
40-input Digital Mixing Console and 32-in/32-out USB Interface and iPad Control Designed to be as s..